Gallery Metrics help you build a clickable instagram feed so you can drive traffic and sales directly from Instagram. Sign up for Gallery Metrics in seconds. Add links on Instagram photos to make them clickable and get the link for your new gallery! Add your Gallery Metrics' link to your Instagram profile bio. 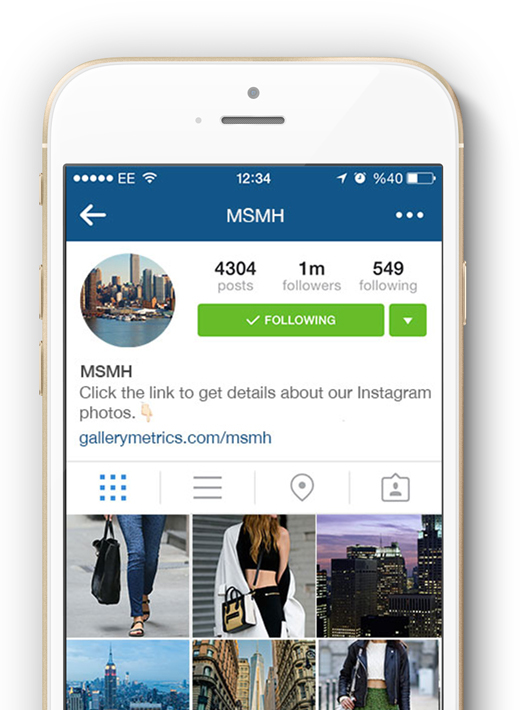 The Gallery Metrics' link directs your followers to a landing page that has the same look as your Instagram feed. 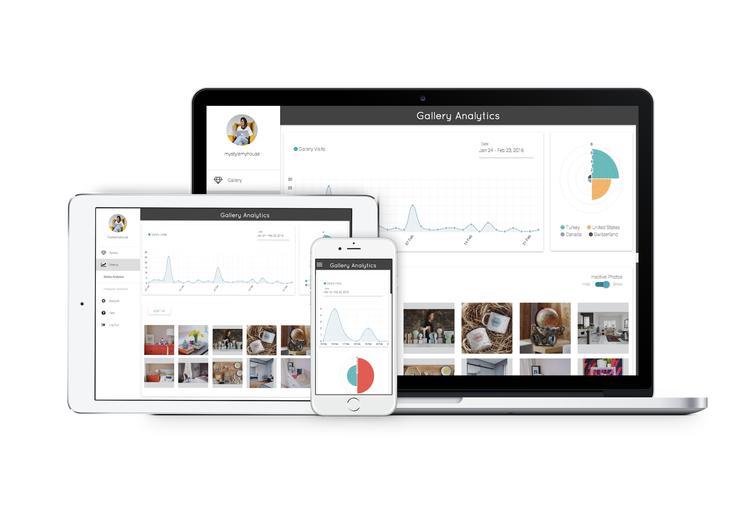 Gallery Metrics help businesses to manage their Instagram accounts effectively with shoppable Instagram feed and its analytics. From a single Instagram link to thousands! Adding links on each photo transforms your Instagram account to a lively shop or blog. Gallery Metrics' responsive web design works smoothly on all platforms. Measuring the performance of your clickable gallery will help you to increase your sales and brand engagement. You can also embed your shoppable Instagram feed to your web page. "As a business Gallery Metrics is amazing because you can just add all your links to products. I am loving Gallery Metrics"
Social Media Speaker, trainer and co-author of Art of Social Media.